Who doesn’t love a well-dressed table? It really isn’t hard to accomplish with embroidery designs such as these! 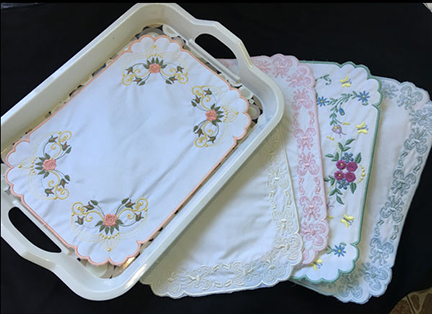 Gorgeous embroidery gives even the most plain of trays into an elegant presentation piece. Serve hot tea, cold drinks, or desserts in style. Pieces stitch up easily with a satin-stitched edging for a clean finish with no fuss. If you are a fan of projects that you can create in sections, this is the perfect design. Stitch up squares, borders, and corners individually, mix and match, then sew them all together to create pretty placemats and table runners. Celebrate warmer weather and stitch up an entire dining ensemble with this set. 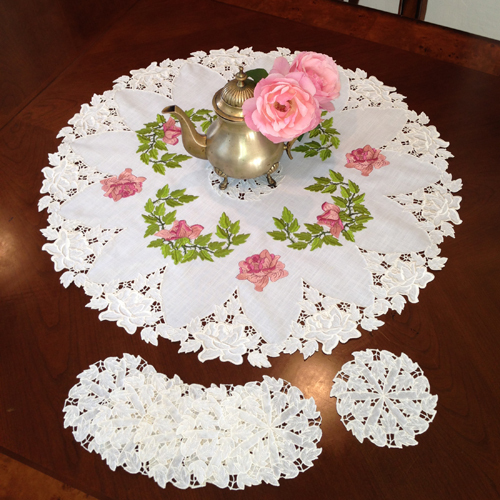 Add pretty cutwork to table cloths, table runners, and towels. Add matching placemats and coasters for a professional finish. With stippled quilting and floral embroidery accents, the coordinating background peeks out as leaves and edges finish cleanly. 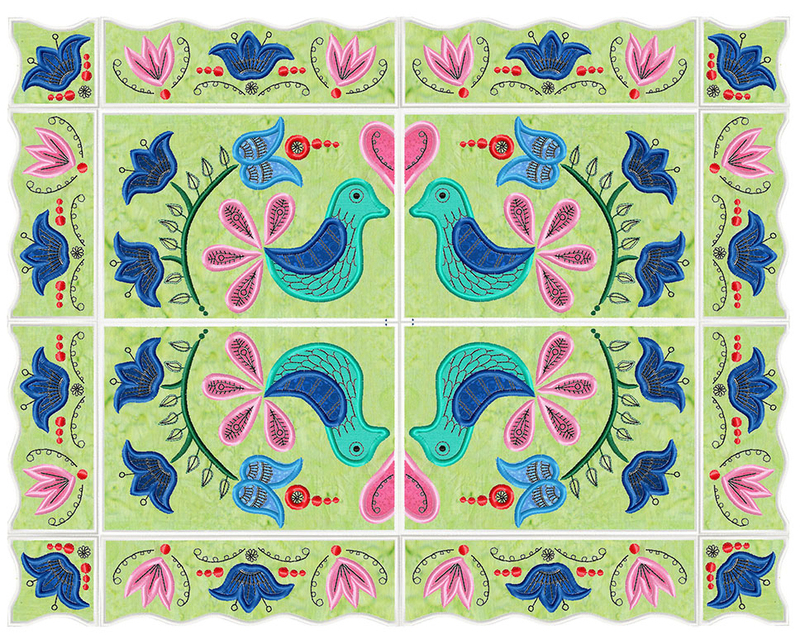 This table topper is a pretty base for a candle or bouquet. 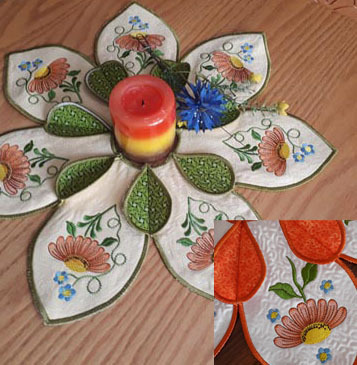 This centerpiece was featured in a past issue of Designs in Machine Embroidery magazine. It may look complicated, but stitches up as a combination of freestanding lace and cutwork embellished with beautiful machine embroidery. 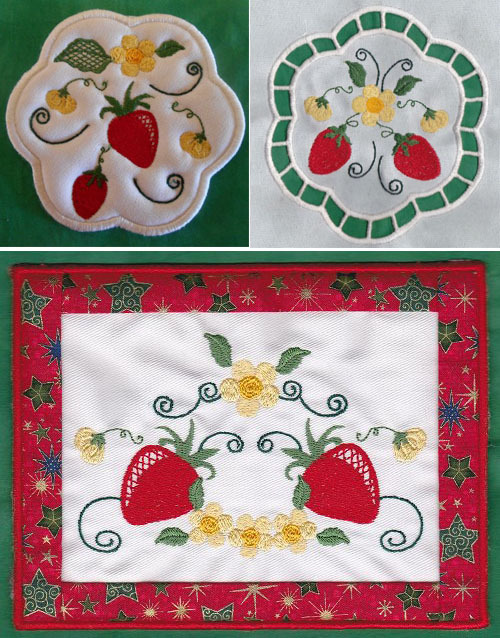 These designs provide, perhaps, the easiest method of creating a stunning table runner and placemats. Buy ready-made pieces and quilt them with these swirls, pebbles, and geometric designs. Use the same thread in the bobbin so that the back looks pretty too! 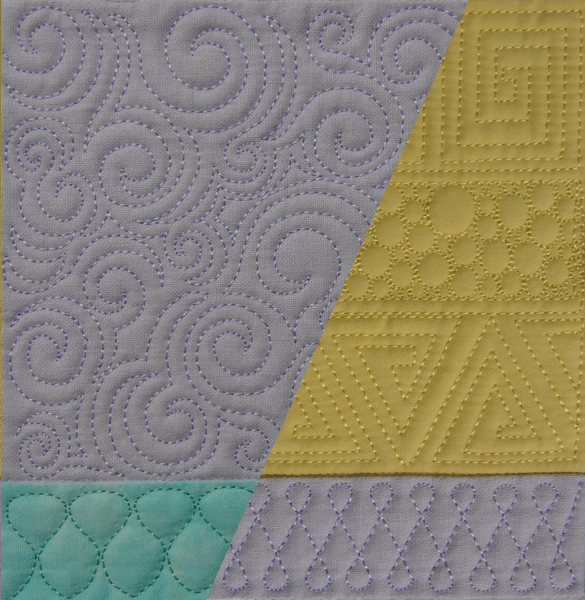 How about a modern twist on traditional cutwork? If you can applique, you can create beautiful cutwork embroidery like this. It resembles Battenburg with a touch of Hardanger. 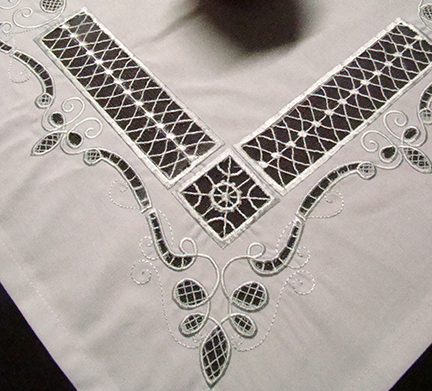 Which embroidery technique is your favorite for creating table coverings? Previous Previous post: Set a Hoppy Easter Table With These Great Embroidery Projects!